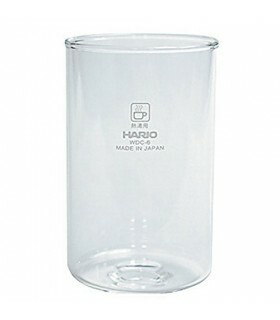 The Hario Water Dripper ‘Clear’ cold dripper is both elegant and functional and produces exceptionally good coffee. The slowly dripping cold water makes coffee of low acidity and bitterness while it brings out the full aroma of your chosen blend. 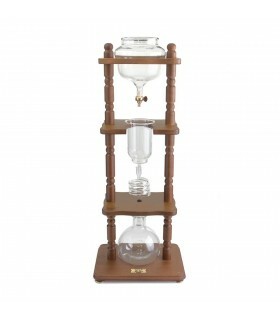 This beautiful coffeemaker uses the classic cold-drip method to produce a full-flavored cold drip coffee. You can even store the coffee in the fridge and drink it cold over ice. 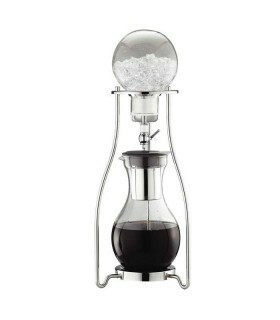 Cold brewing system delivers the full coffee’s flavor and rich aroma by slowly dripping cold water through finely ground coffee. 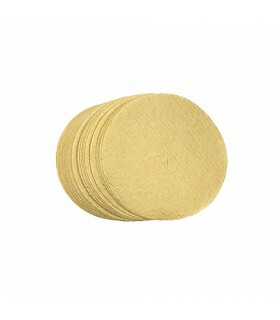 Brewing your coffee with cold water preserves delicate flavor ingredients, while eliminating bitter oils and acids that are usually extracted when brewing at higher temperatures. A precision metal faucet controls the drip, ensuring the best drop-by-drop brewing. Coffee flows through the stainless-steel filter into the heat-treated glass pot below, resulting in a pure, richly flavored cup. 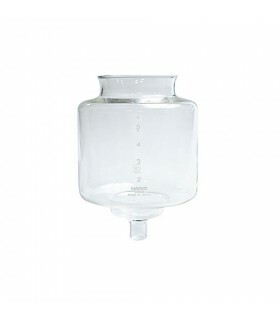 Makes concentrated coffee ideal for iced beverages or serve as a 'cold drip' neat over ice. Makes up to 780ml of coffee.